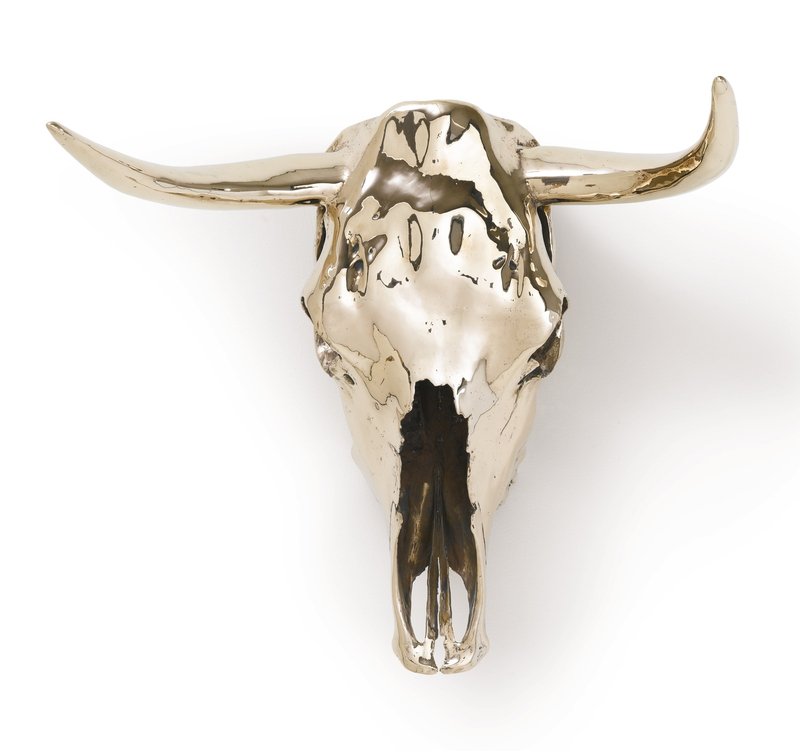 The shiny high-design aesthetic of Steer Skull, Horned is somewhat at odds with the art historical reference that it calls up: paintings of animal skulls by Georgia O'Keeffe. In referencing a form so closely linked to the female painter yet insisting on a different function for it (sculpture rather than painting, the permanence of metal replacing entropic bone), Levine gestures to the mobility of citation. Hers is a kind of homage to O'Keeffe and brings to mind the fantasy of the Southwest her biography inspires, yet the sculpture is also imbued with a broader evaluation of icons of American identity. "Steer Skull, Horned." Take It or Leave It: Institution, Image, Ideology Digital Archive. Los Angeles: Hammer Museum, 2017. https://​hammer.ucla.edu/​take-it-or-leave-it/​art/​steer-skull-horned/​.